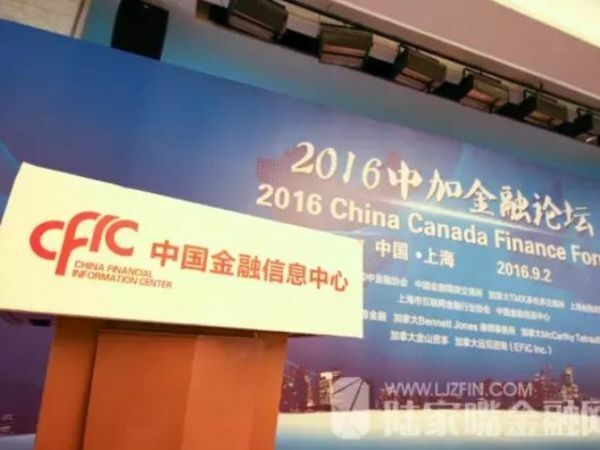 The 3rd Canada China Finance Forum was successfully held at TMX trading center in Toronto last Thursday, June 29, 2017. The forum brought together more than 300 senior government officials, financial industry leaders and prominent scholars from both countries. Attendees highly acclaimed the forum as a great platform to share insights, discover investment opportunities and forge new business relationships. The forum was officially started by the introductory speech of the forum Chair, Daju Gu, followed by the opening address of Dianna Zhang, the President of CCFA. Dianna emphasized on the purpose of the forum, which is to facilitate Canada-China collaboration in the areas of finance and investment and to share insights and views between the two countries. Representing the government of Ontario, the honorable Charles Sousa, Ontario Minister of Finance and Michael Chen, Ontario Minister of International Trade opened up the forum by speaking about the significance of the trade between China and Canada (Ontario) and the efforts that Canada and Ontario has made and will continue to make in order to attract investment from China and to facilitate the general trade between the two countries. Honorable Charles Sousa, Ontario Minister of Finance, giving speech at the forum. Michael Chen, Ontario Minister of International Trade. Wei He, the Consulate General of Peoples Republic of China in Toronto, gave a keynote speech acknowledging the positive contribution the past forums have made and wished this forum a success. Wei He, the Consulate General of Peoples Republic of China in Toronto, giving a keynote speech at the 2017 Forum. Mr. Ian Russell, President & CEO, Investment Industry Association of Canada (IIAC) gave a speech on the current state and opportunities of Canadian investment industry. He pointed out that Canada and China has had a very long and strong relationship in the area of investment and the new Canada-China Foreign Investment Promotion and Protection Agreement (FIPA) would further promote bilateral investment in both countries. Mr. Ian Russell, President & CEO, Investment Industry Association of Canada (IIAC), speaking at the Forum. Douglas Porter, Chief Economist of BMO, provided both a review and an outlook of Canada’s Economy. He attributed Canada’s stellar economic performance to the low corporate tax rates, the competitive currency and the sound banking system in Canada. Douglas Porter, Chief Economist of BMO, was giving speech at the Forum. Bin Xia, a highly regarded Economist in China, advisor to Chinese State Council, spoke insightfully on the challenges and opportunities of China’s economy. Mr. Xia analyzed the reasons for China’s accelerated growth in the past, and predicted that China will continue to be a major contributor to the growth of world economy considering a number of factors including the continuation of government and SOE reforms, the opening of finance market, and the increasing of the scale of the international trade. Mr Bin Xia, Economist, advisor to Chinese State Council, giving speech at the Forum. Jean Charest, Partner of McCarthy Tetrault LLP, former premier of Quebec, shared insights on the challenges and opportunities faced by Canada and China, and pointed out that forging a tighter trade and political relationship between the two countries would create a win-win situation. Jean Charest, Partner of McCarthy Tetrault LLP, former premier of Quebec, giving speech at the Forum. The morning is concluded by the “CRO chat” panel discussion, during which Daniel Moore, CRO of Scotia Banking Group CRO, commented on the importance of Canada’s prudent banking regulations to the stability of Canada’s finance system. Daniel also portrait the future role of banks as technology harbours as opposed to safety vaults. Daniel Moore, CRO of Scotia Banking Group CRO, speaking in the “CRO Chat” section at the Forum. The morning was concluded by the speech given by Munsif Sheraly, Director, Retail Sales and Relationship management at Scotia iTrade, on behalf of one of the forum’s main sponsors, Scotiabank. Munsif Sheraly, Director, Retail Sales and Relationship management at Scotia iTrade. Jessie Huang, hostess of the forum, introducing a speaker at the forum. In the afternoon, Ray Yuen, TMX Director of Strategy started off with a speech titled “The Role of Financial Market Infrastructure in China’s Globalizing Markets”, followed by the talk in the globalization of RMB given by Min Gao, Head of Treasury Department, ICBC (Canada). Min thoroughly outline the phases of RMB globalization and discussed the impact of it to Canada domestic market given its strong ties to China. Ray Yuen, TMX Director of Strategy, giving speech at the Forum. Moderated by Oscar Cheng, Senior Partner Deloitte Consulting, the panel discussion on investment opportunities features three experts in the investment field, Nick Chamie, Chief Investment Officer, Scotiabank, Christine Helsdon Tekker, Managing Director, Head of Canadian Credit, Manulife Manulife and Bob Guo, CEO, Goldenmount Capital. Oscar Cheng, Senior Partner Deloitte Consulting, moderating the panel discussion on investment opportunities at the Forum. Nick Chamie, Chief Investment Officer, Scotiabank. Bob Guo, CEO, Goldenmount Capital, speaking, in the “Investment Opportunities” panel discussion. On the “fintech” front, professor En-Hui Yang, from University of Waterloo started off with his speech titled “Data Security in Financial Industry: Challenges and Solution”. Professor En-Hui Yang, from University of Waterloo, giving speech at the Forum. 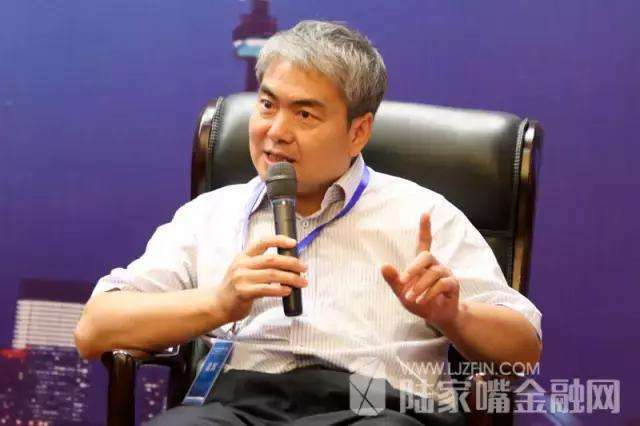 Dr Yanan Wu, Chairman of Zhengrongbo, educated the audience with a speech in the applications of big data in financial services. He discussed in the areas of digital asset allocation and robo-advisor using Zhengrongbo as an example. Dr Yanan Wu, Chairman of Zhengrongbo, giving speech at the Forum. To top it off, Alan Wunsche, the Chair and Co-founder, Blockchain Canada, delivered an interactive speech in the topic of blockchain applications in finance. Alan Wunsche, the Chair and Co-founder, Blockchain Canada, giving speech at the Forum. Concluding this year’s forum, the former President of CCFA, Ti Wang thanked all speakers and attendees and also extended invitations for next year’s Canada China Finance Forum. Ti Wang , the Former President of CCFA, giving a concluding speech the Forum.